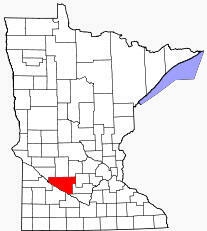 Renville County is a county located in the U.S. state of Minnesota. As of 2000, the population was 17,154. Its county seat is Olivia. According to the U.S. Census Bureau, the county has a total area of 987 square miles (2,557 km²), of which 983 square miles (2,546 km²) is land and 4 square miles (11 km²) (0.44%) is water. 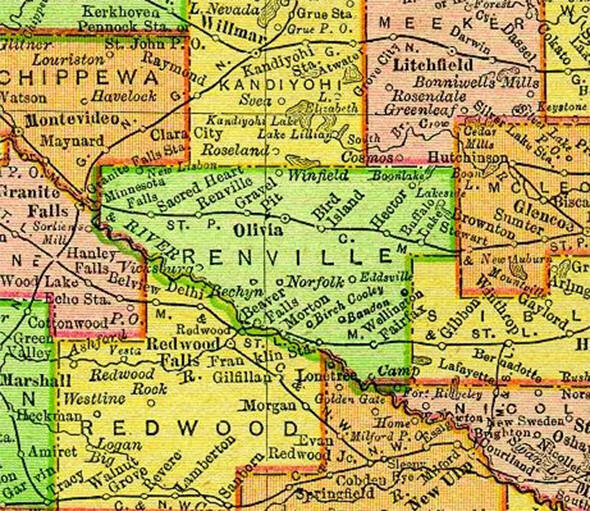 Renville County is named in honor of Joseph Renville. The county was the site of several engagements in the Dakota War of 1862. Renville County also is the birthplace of the Geier Hitch, a widely known technique of livestock management. 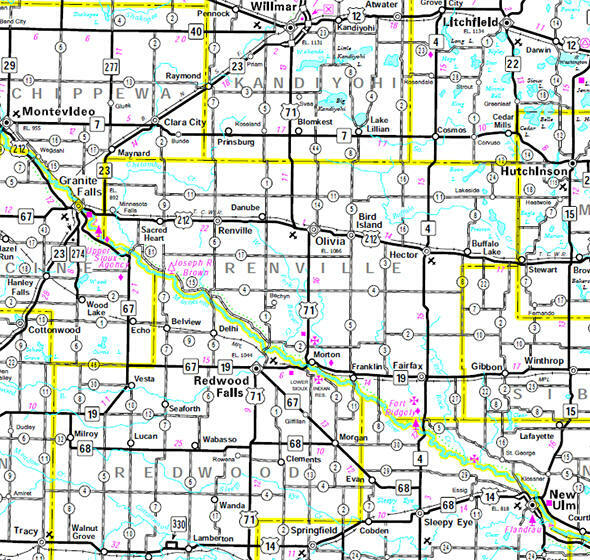 For a number of years the Geier family farmed in Boon Lake Township as well as in Lynn Township in McLeod County.